Ladies of Lee, the premier women’s choir at Lee University (Cleveland, TN), has enjoyed a thriving ministry of choral music for fifty years—performing in churches and schools throughout Tennessee and the Southeast and other locations across the U.S. and abroad including: Mexico, Europe, Israel, the Bahamas, Hawaii, Alaska, and Washington, D.C. In addition, they have performed in other venues such as Rock City in Lookout Mountain, GA, and the Naval Academy in Annapolis, MD. They have been featured performers at the Candlelight Christmas Evenings at the Biltmore Estate in Asheville, NC for twenty years. Comprised of fifty women from across the Lee undergraduate population, the choir performs a variety of a cappella and accompanied sacred literature, drawing from standard choral repertoire, traditional hymns, spirituals, and gospel songs, and even recent Christian music. Excellence in music and ministry is paramount in fulfilling the choir’s ultimate mission of furthering the Kingdom of God here on earth. 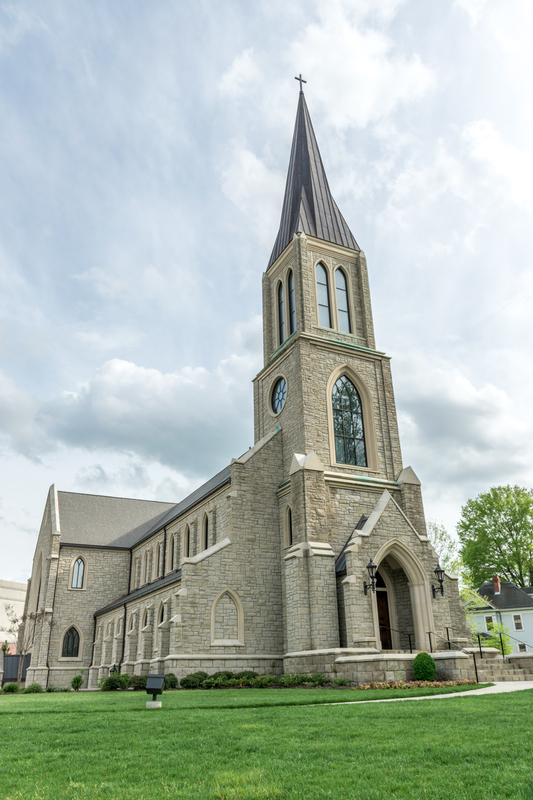 The choir has developed a reputation for outstanding performances that combine artistic choral singing, musical sensitivity, and Gospel presence. The ensemble has given numerous students the opportunity to utilize their desire to sing for the glory of God and the edification of the Church. 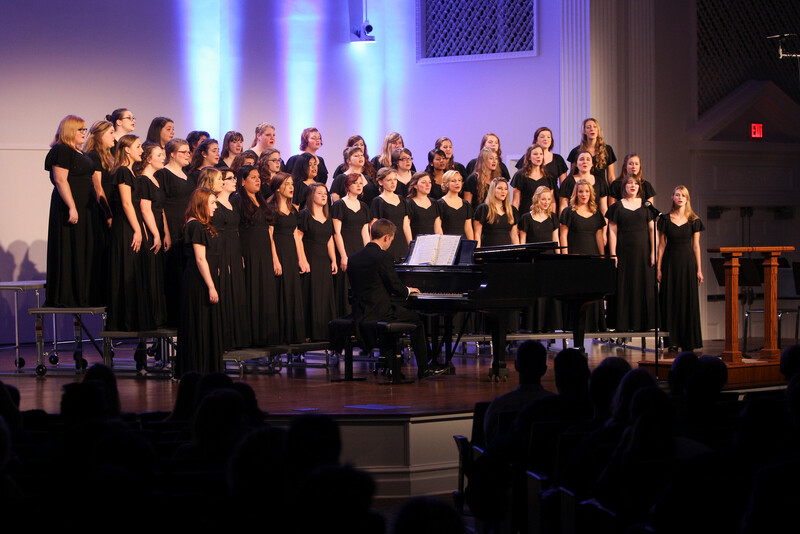 The Ladies of Lee consists of 51 women representing a variety of majors at Lee University. Hopefully, you will be able to come hear the choir and sense the presence of the Holy Spirit as they use their vocal abilities to honor and glorify God. Their ultimate goal is to magnify Christ in their talents, attitudes, lifestyles, and musical performance. Jonathan Rodgers is Assistant Professor of Choral Conducting in Lee University’s School of Music. His responsibilities including conducting the Ladies of Lee and Choral Union, teaching choral conducting and literature classes, overseeing the choral conducting curriculum, and supervising choral conductors in the graduate program. A native of Memphis, Tennessee, Rodgers holds a Bachelor of Music in Music Education degree and Master of Music in Church Music degree from Samford University, studying conducting and church music with Milburn Price and Paul Richardson. He completed his Doctor of Musical Arts degree in Choral Conducting at the University of Southern Mississippi, studying conducting with Gregory Fuller and John Flanery. His scholarly research and dissertation examines the choral singing tradition of Estonia and, specifically, the choral folksongs of Estonian composer Cyrillus Kreek. While at Southern Miss, Rodgers was assistant director of the Women’s Chorus and rehearsal assistant and accompanist for the flagship ensemble, the Southern Chorale. In addition, he was accompanist for the Southern Hymn Festival (under the direction of Mack Wilberg), continuo player and rehearsal assistant for USM’s presentation of the Bach B Minor Mass, pianist on recordings of the music of James Mulholland, and pianist and rehearsal assistant for the Carnegie Hall premiere and recording of Edwin Penhorwood’s An American Requiem. As a member of the American Choral Directors Association, Rodgers has been guest speaker and presenter at the Chicago National ACDA and Mississippi MENC/ACDA conferences. He has also given presentations at Youthcue Choirs and Student Music Metro Conferences. Currently, he is a regular article contributor for YouthCue Choirs, Inc. and their online service, CueWeb, serving conductors of church student choirs. Recently, Rodgers was selected to conduct a portion of Handel’s Messiah in a masterclass with Helmuth Rilling at the ACDA National Convention Salt Lake City. Previously, he has been a guest conductor for the Lee Honor Choir, Hamilton County Honor Choir (TN), clinician for Louisiana’s District II Women’s Honor Choir, and YouthCue Choirs summer festival choir in Washington DC. In addition to his conducting and scholarly activities, Jonathan is an active pianist, church musician, and arranger. His arrangements have been published with Walton Music, Pavane, and Colla Voce and performed by high schools, colleges, and churches across the U.S. Recently, he was commissioned to write the closing piece for the Kentucky TTBB All-State choir, and his works have been featured on recordings by the Brigham Young University Women’s Chorus and The Southern Chorale of the University of Southern Mississippi. Jonathan has been married to his wife Alicia for twelve years, and they have three children: Savannah, Leighton, and Brooks.